Today we will show you how to make an old-fashioned looking wooden suitcase out of Clementines Boxes and Wooden Thread Spools. 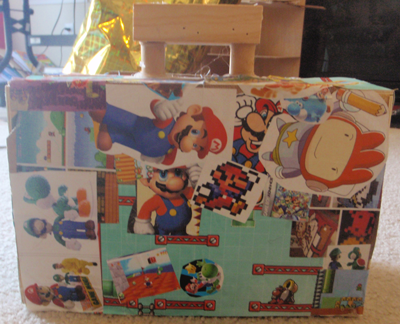 You can decorate the box with any cartoon characters that you want, but my son is obsessed with Nintendo and Super Mario Bros characters so I decided to make this for him. He LOVES it…and I hope you will too. 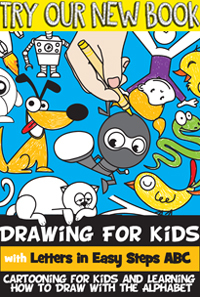 The illustrated instructions can be found below. By the way…Yes, it does open and close. The pieces fit together so snugly, that you don’t even need a strap to keep it closed. 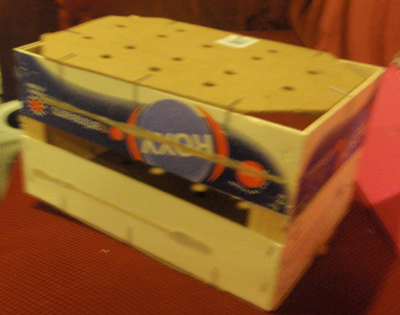 Take out 2 Clementines Boxes (or other wooden fruit boxes). There are 4 wooden posts in each clementines box. 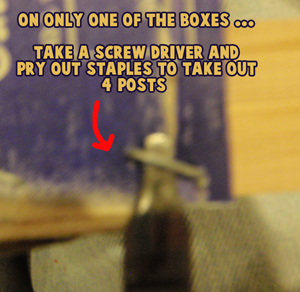 With parental supervision or permission, take a screwdriver and pry out the staples to take out the 4 posts. Now you have all 4 posts out. Now glue all 4 sides back together. If your parents are around have them hot glue the sides together so you don’t have to wait for the glue to dry. 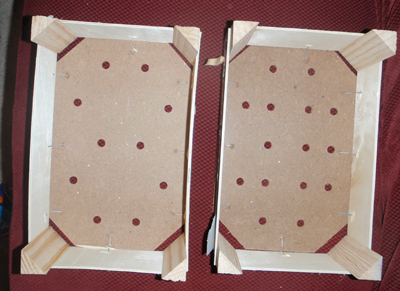 After the glue has dried, the boxes should fit together now, like the above picture. 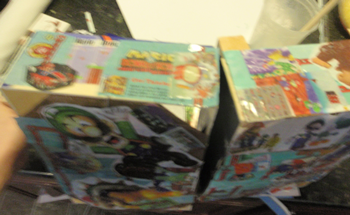 Now stick duct tape all long the bottom so that the bottom of the boxes looks like this. If you take the boxes apart, this is what it should look like from the inside. 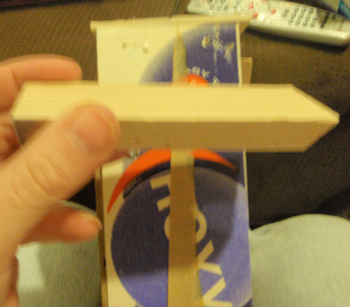 To make the handles…use will be using all 4 posts that you took out in step #1. If you glue 2 posts together, you will get a rectangle like the white illustration above. 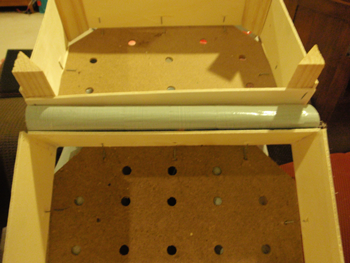 Then take 2 spools and glue them to the box as seen above…notice that they are slightly off the box in to the center of the box….Then glue 1 rectangle to the top of each set of spools. 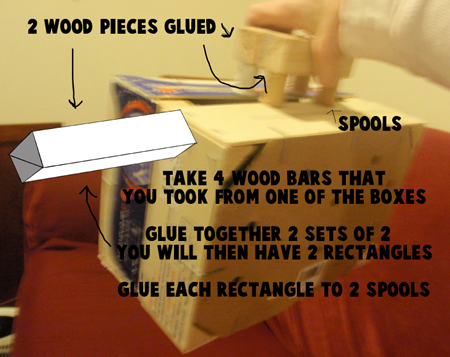 Cut out all the pictures that you want to glue to the box. 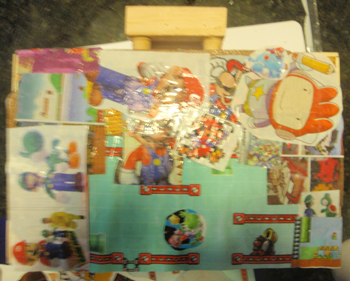 My son loves Super Mario Bros and Donkey Kong and Scribblenauts so I made sure to cut out a lot of those video games characters. We aren’t just going to glue these to the box, we are going to use a process called decoupage. Decoupage (or découpage) is the art of decorating an object by gluing colored paper cutouts onto and object and then sealing it with a varnish over and over again until it is sealed. It will appear as if it is part of the wood or object. 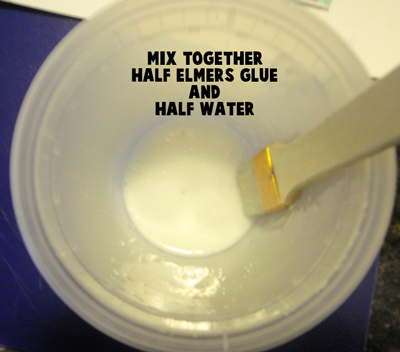 So take some Elmer’s glue (or any brand obviously) and make a mixture of 50% water and 50% Elmer’s Glue. Mix it together with a paint brush. Or if you have Modge Podge use that (something that they sell at crafts stores. Brush your mixture directly on to your suitcase surface. 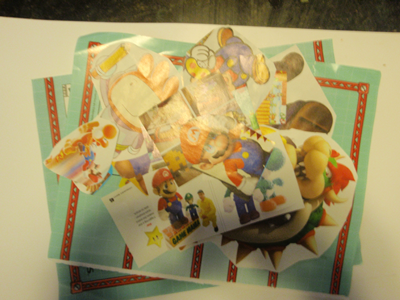 Now start sticking on your pictures, making sure to brush the glue mixture onto the pictures as you put them down. Put more pictures down, continuing to brush the glue mixture all over the surface. 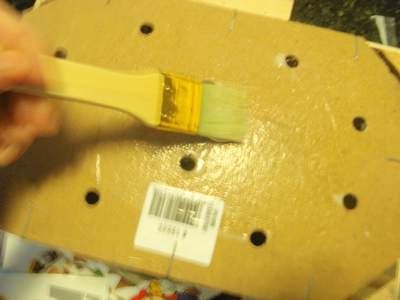 Wrap pictures all around the box…making sure to put plenty of glue mixture all over everything. Make sure to flatten the pictures out and not to make it so wet that there are globs. Let it dry and then put another coat on. 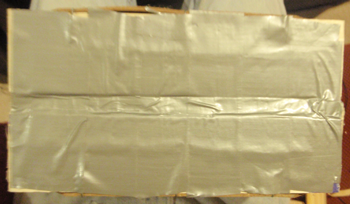 I put 4 coats on … each time letter it dry in between putting more coats on. 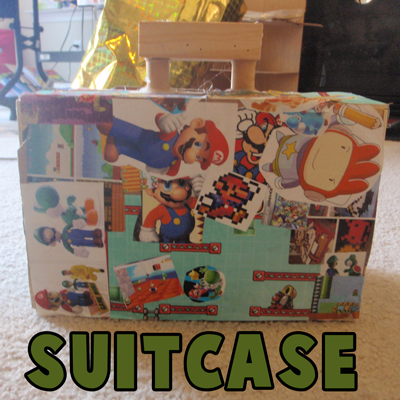 This is my son’s finished suitcase…he loved it and all my kids want me to make one for them or to help them make one…so I guess we need to eat a LOT of Clementines (I have 4 kids) . I hope that you had fun.